Gainful Employment: No Pain, No Gain? Can the value of a college diploma be quantified? Should it be quantified? Many would argue no on both counts. The benefits of better critical thinking skills, a rich network of relationships with professors and alumni, or an enhanced sense of your own bright future and capacity to achieve are very difficult to reckon. Researchers report many multidimensional advantages associated with more years of education: better health, more stability in relationships, increased political and civic engagement, and more peace and happiness, even into old age. It’s hard to put a price on any of these goods. And yet, high and continuously rising tuition is increasingly forcing would-be students and their families to perform some cost-benefit analysis. A college degree, on average, awards you 60 percent higher earnings (PDF), which more than offsets the average $23,000 in student loans that graduates stack up. But the relative advantage of the degree has been growing for a generation not because college graduates are earning more and more, but because high school graduatess are earning less and less—20 percent less for young men compared to the 1970s. In fact, it might make more sense to speak of a non-college penalty than a college reward. Then there’s the question of what happens to the 43 percent of college students who, for one reason or another, don’t finish their degree within six years of their freshman year. They may have student loans but no degree to show for it. Or what about those who graduate into a recession, like the one going on right now, with very high loan burdens? Graduating into a poor job market can reduce your lifetime earnings by 10 or 15 percent—and it’s a disadvantage that never really goes away. The measure they’re using is how the college’s graduates handle their student loans. If too many of your students leave school with an unreasonable ratio of debt to income (defined as more than 8 percent of total earnings), or if they don’t pay back their loans at all, then presumably they didn’t get enough bang for their buck. For now, the “gainful employment” standard is being applied only to trade schools, which are usually for-profit. But it’s not a bad question to ask no matter what the status of the college. One would think that this guideline could strike fear into the hearts of the philosophy department at, say, Middlebury College (price tag, $208,600; starting salary, about $35,000) or, for that matter, the film school at USC (price tag, $100,000+; starting salary, $0 to $100,000). a noted Wall Street short-seller, Steve Eisman, gave a speech criticizing certain public companies that are for-profit colleges and universities. Eisman is known for “shorting” stocks in public companies in the sub-prime industry before the collapse — meaning he made tons of money when these companies’ share values went down or virtually collapsed. For the uninitiated, at the risk of oversimplifying, you make money “shorting” stock by borrowing someone’s stock at a certain share value and then, if the share values go down, repaying the loan at a lower amount, pocketing the difference. Eisman, in his May 26 speech before the Ira Sohn Research Conference in New York City, criticized some for-profit colleges and universities that are public companies (such as the Apollo Group, which owns the University of Phoenix, Corinthian College and Kaplan University (owned by The Washington Post). He suggested they were on financially shaky ground due to high student default rates from Department of Education Title IV loans and excessive debt-to-income ratios, to name just a few of his criticisms. Stories appeared shortly after the speech that the share values of the companies that Eisman had criticized dropped immediately and considerably — and that Eisman had “shorted” these stocks, and thus profited handsomely. Whether the share values fell as a result of Eisman’s criticisms is up to a logical reader — or inquiring member of Congress — to determine. Eisman also penned an extensive op-ed in the New York Post. But he made no disclosures in that piece as to how much he had shorted in the companies he was criticizing and how much he had profited if and when the share values dropped. Similarly, on Thursday morning, in front of the Senate Health, Education, Labor and Pensions (HELP) Committee, chaired by Sen. Tom Harkin (D-Iowa), Eisman is repeating similar charges. Yet he doesn’t make any specific disclosures that I can discern, at least from the written testimony I have read, as to what stocks he has shorted in the companies he has criticized in the past, and what his current short positions are and how much. I’ve known Harkin for many years. He is one of the best senators ever. But he has always stood for transparency. I suspect he will demand such full disclosure and transparency this morning from Eisman. Private-sector colleges are part of the mix of higher-education options available to lower-income kids, representing 2.7 million (about 7 percent) of the current students in higher education. Many of the students would qualify as non-traditional — working adults, low-income students and minorities — and can fairly be described as “higher risk” compared to students at traditional universities. One report, using U.S. Department of Education data and issued by the Parthenon Group, said that students at two-year private-sector colleges graduate at rates approximately 50 percent higher than public schools. In addition, the graduation rate for four-year private-sector schools is virtually no different from traditional four-year schools — 43 percent compared to 45 percent, according to the Integrated Postsecondary Education Data System (IPEDS). And what happens when private-sector colleges graduate their students? A review of the data shows that these students get a job and pay their debts. 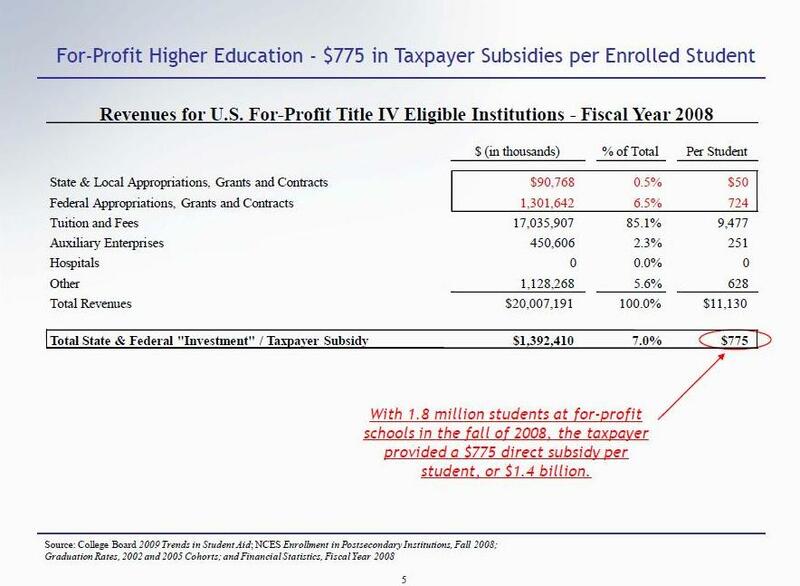 Default rates of for-profit students are basically the same as students from community colleges (11 percent versus 10 percent, respectively). While it’s true that for-profit students have higher default rates than public and nonprofit colleges, the GAO reported in 2009 that “the characteristics of the students who attend the schools” account for the differences in the loan defaults, not the kinds of institutions these students chose to attend. In other words, lower-income students have higher default rates than wealthier students, whether or not they attend for-profit or non-profit schools. 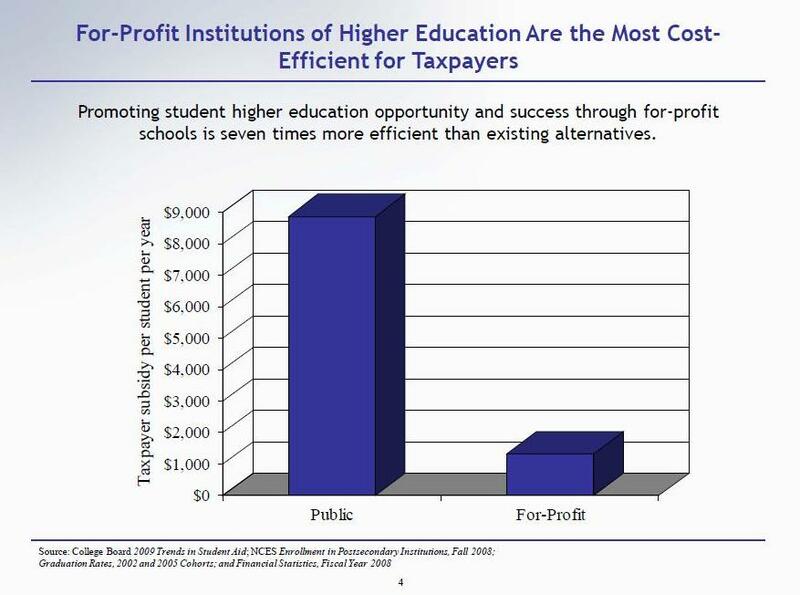 Let’s concede that, in the for-profit college industry, there are bad apples. 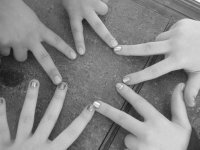 Congressional oversight and U.S. Department of Education rules give ample ability to focus on fraud, root it out and end it. But the notion of pervasive, systemic abuse and fraud as suggested by Eisman, more with innuendo than hard facts, may not stand up to scrutiny. We need oversight and regulation for sure. We also need full disclosure and transparency by short-seller critics — for sure too. This piece appears today, June 23, 2010, in Mr. Davis’s regular weekly column in The Hill, “Purple Nation” and The Daily Caller, an online political website. Mr. Davis, with his own Washington firm, Lanny J. Davis & Associates PLLC, served as special counsel to President Bill Clinton from 1996-98 and was a member of President George W. Bush’s Privacy and Civil Liberties Oversight Board in 2006-07. He is the author of Scandal: How “Gotcha” Politics Is Destroying America (Palgrave MacMillan 2006). THE OBAMA administration is considering rules that could sharply limit the availability of for-profit colleges to American students. The government is right to fashion reasonable regulation to discourage fraud or misleading practices, but it would be wrong to impose rules that remove an option that is especially useful for poor and working students. Readers should know that we have a conflict of interest regarding this subject. The Washington Post Co., which owns the Post newspaper and washingtonpost.com, also owns Kaplan University and other for-profit schools of higher education that, according to company officials, could be harmed by the proposed regulations. But our feelings about career colleges, as the for-profits are often called, are consistent with our editorial policy on education more broadly: that is, the more options available to parents and students, the better. Particularly among some Democrats, that’s not always the prevailing view. But for the most part it has been the philosophy of the Obama administration, which is why an effort to narrow choice in this area would be inconsistent as well as misguided. In a speech on higher education in Texas this month, President Obama noted that getting more Americans into — and successfully out of — college is an economic imperative. “It’s an economic issue when the unemployment rate for folks who’ve never gone to college is almost double what it is for those who have gone to college,” Mr. Obama said. “Education is an economic issue when nearly eight in 10 new jobs will require workforce training or a higher education by the end of this decade.” But the president noted that in college completion the United States has been “slipping. In a single generation, we’ve fallen from first place to 12th place in college graduation rates for young adults.” He vowed to reverse that trend. In an opinion piece (“Don’t discriminate against proprietary colleges” 8/19), John R. McKernan, Jr., former U.S. Congressman and former Governor (R-Maine), makes a very important point about the Department of Education’s proposed regulation on career colleges: Limiting access to these schools will drastically hurt minority and low-income students. While President Obama is setting goals of increasing graduation rates, the department is creating massive hurdles for students to get there, especially at-risk students who need help the most. Currently, black unemployment rates are well above the national number and are hovering around 15 percent. It’s a critical time to educate and train students to be prepared for a career upon graduating college. Unfortunately, if programs at career colleges are shut down because of the proposed rule, we are going to close the door on opportunity and limit higher-education access for thousands of students. I agree with the former governor and hope the department will see the value in giving all students of all backgrounds a chance to succeed. 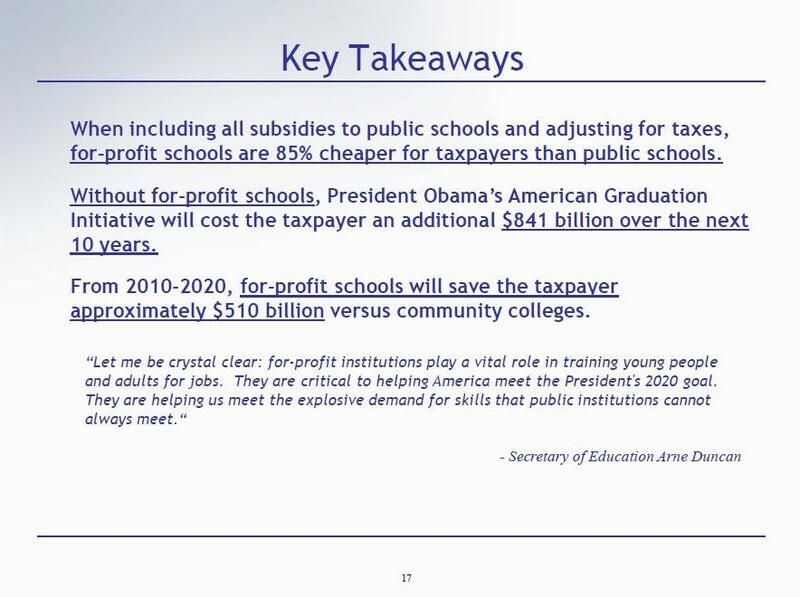 Critics of private sector education have been working overtime over the past few months. 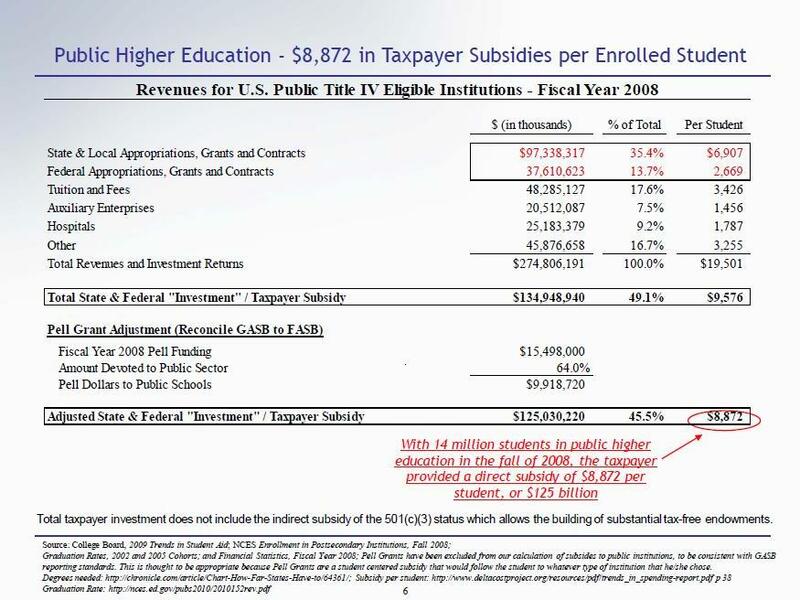 And despite some bad behavior from a few for-profit providers, there is a substantial misunderstanding of this part of the higher education industry and the real consequences of the Department of Education’s proposed actions. The Department of Education’s proposed gainful employment rule endeavors to curb rampant student debt; actually it will limit educational opportunities for thousands of students across the country. In his opinion piece “Don’t discriminate against proprietary colleges”, Governor McKernan notes that the purpose of federal student aid is to provide access by helping disadvantaged students reach their potential. Unfortunately, the gainful employment rule will achieve just the opposite – limiting access. 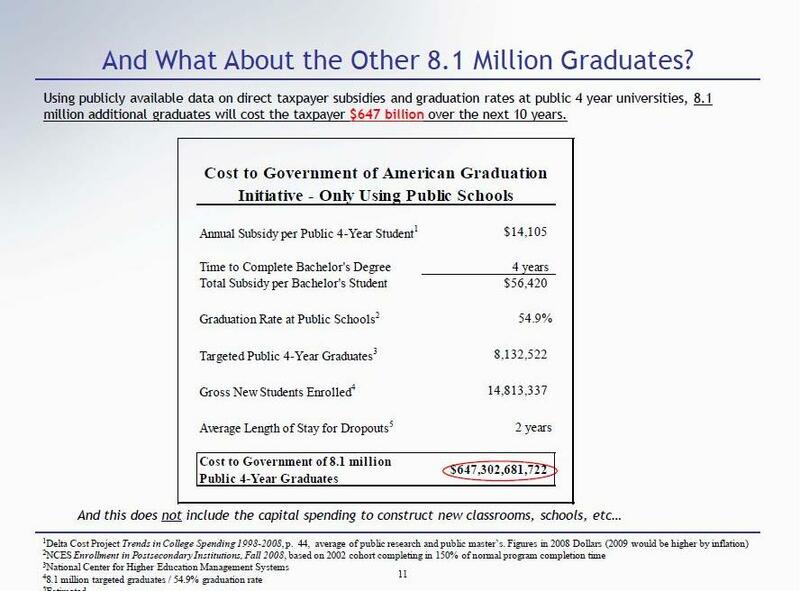 One of the biggest risks facing publicly traded for-profit educational institutions is the Department of Education’s (DoE) proposed “gainful employment” rule. Under the proposed rule, schools where less than 35% of students are repaying the principal on federal education loans would essentially become ineligible. 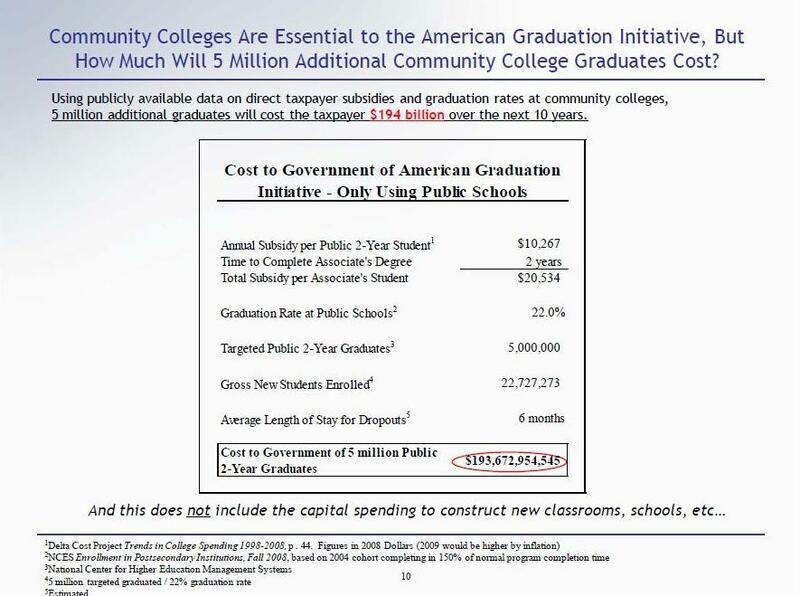 Schools with 35-45% would face restrictions on their ability to receive these loans. There are some additional income stipulations, where if debt is 8% or less of income, then the above restrictions can be waived. Notably, the rule is set to only apply to for-profit institutions, not publicly funded 2 or 4-year schools. The rationale for these rules is noble. The government wants to insure their investment in education is resulting in employment where the student is making enough incremental salary to show the value of the education received. Those are unquestionably some poor numbers, leading to an explosion of reactionary journalism and “analysis” that immediately concluded that the bear case on for-profit educators, of being “churn and burn” marketing institutions, must be true. In fact, a New York Times article had a quote from Debbie Frankle Cochrane, program director at the Institute for College Access and Success, that read “I think it’s notable that the for-profits are the only type of school where the majority of students are unable to repay their loans”. With several of these companies a part of Magic Formula Investing, the issue is important to followers of the strategy (as well as investors at large). Is it really true that for-profit institutions are wholly unconcerned with educating their students? Is the problem just that the insatiable greed of capitalism is to blame for low repayment rates at private sector schools? For the purposes of this article, I’ll put aside the objections raised by firms like Strayer that argue that consolidation loans, which are often structured as interest-only or graduated income repayment, are not considered in the repayment rates. That is fine, but if the methodology was the same for all schools, the net effect should be similar and bring down repayment rates for all schools. More of interest to me was raised on Corinthian’s conference call last Friday. Corinthian raised a very salient point: these companies, particularly the 2-year focused ones like COCO, ITT, DV, and CECO, service a generally low income, minimally educated demographic. In fact, up until this year a quarter of Corinthian’s enrollment was “Ability To Benefit” students, a program set up by the government to allow students with no high school diploma or equivalent to attend higher education. It is of little surprise that ATB students graduated at low rates, defaulted on loans frequently, and were hard to place in jobs (Corinthian is dropping them for 2011). Most programs at these 2-year schools are vocational, and targeted at either older students or younger students that do not possess the desire, SAT test scores, or GPA to be accepted into public universities. Could it be that the relatively low repayment rates at many of these institutions were due more to the demographic they served as opposed to the supposedly poor quality of education they delivered? I wanted to test the hypothesis. Is There A Demographic Pattern? Well, this is interesting! The entire conference of schools have repayment rates below 45%, and only Hampton even clears the DoE’s 35% restricted threshold. 7 schools have lower repayment rates than Corinthian, the worst of the for-profits (1 is the same). 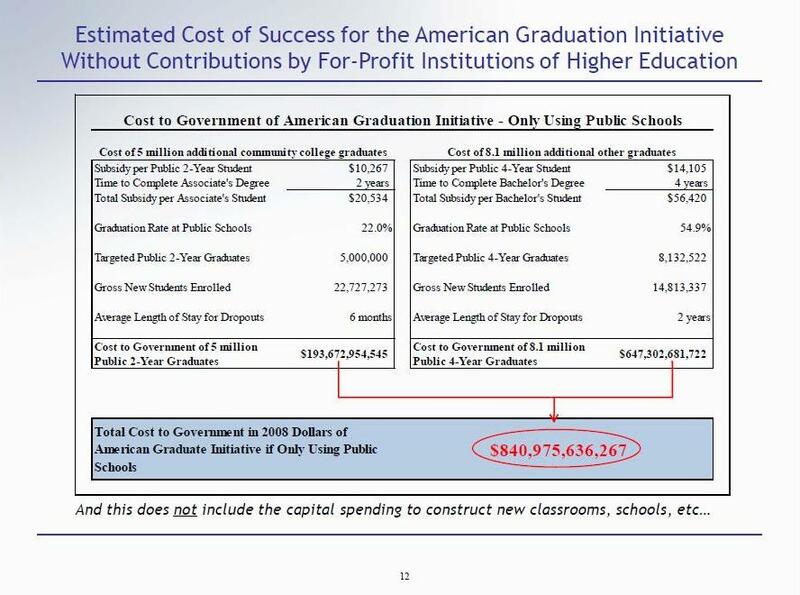 And all are sticking the federal government with more than double the debt of the 2-year schools (challenging another myth that for-profits are way more expensive than public schools). That’s even worse than the MEAC! 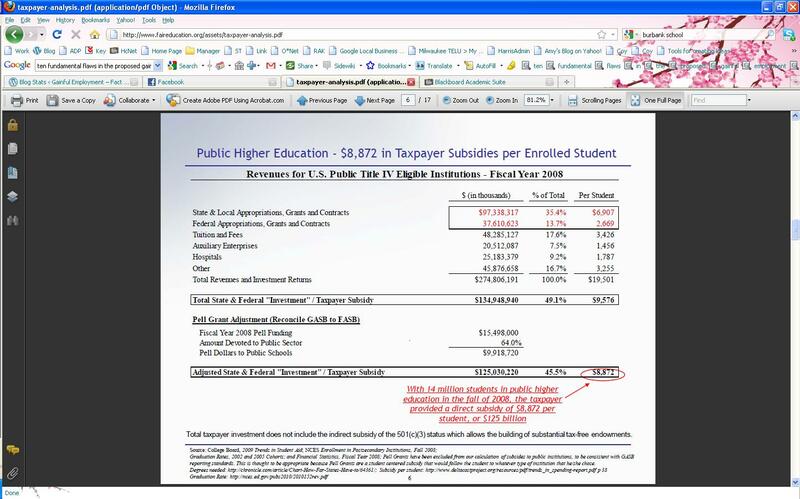 The entire conference, 10 publicly funded schools, with repayment rates well below Corinthian’s (drastically below ITT and DeVry), and with more than double the repayment obligations. Clearly, Debbie Frankle Cochrane is dead wrong when she asserts that only for-profit schools have students that cannot repay their debt. But do we really believe that all of these schools are “churn and burn” institutions, uninterested in the outcomes for students? I think it is unlikely that is the case. While I realize that this is by no means an exhaustive analysis, I think it is more then enough to show that demographics matter to repayment rates – and they matter a lot. The “best and brightest”, with well-to-do families that pay a significant portion of their bills, should not be the standard for which a student who went to work out of high school to support their family is. Furthermore, the “gainful employment” rule seems to do a very poor job at weeding out the bad apples in for-profit education – the ones that are not truly providing valuable instruction. 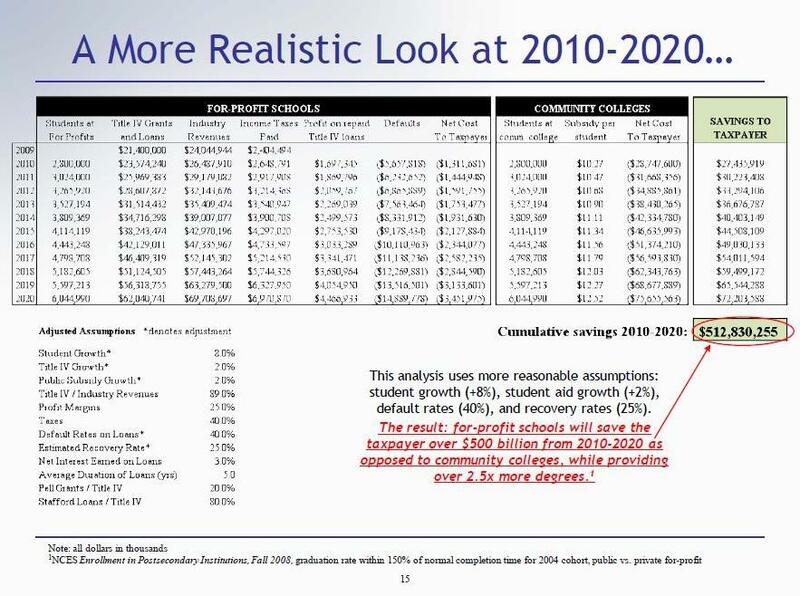 In fact, for these low income students, the trade-based for-profit schools are a much better value than the 4-year publicly subsidized schools. They are providing jobs that allow higher repayment rates and leave students with much lower debt burdens, according to the DoE’s own data! A better plan would be to simply do what has been done – limit federal aid based on cohort default rates. This system has been fairly successful, penalizing a school when cohort defaults exceed 25% for three consecutive years (or 40% for one year). Even lowering these rates by a few percentage points would help the bad apples to shape up. If the DoE is really serious about pushing “gainful employment”, for which no positive outcome studies exist, a better idea is to include consolidation loans that are current. It is unfair to penalize any school (private or public) for loans that are current, regardless of the repayment schedule. I fear that, if passed, all this rule will succeed in is limiting educational opportunities for low income students looking to better their position in life. We need a better way to weed out what schools are providing value vs. those that are not. Millions of college students are getting ready to go back to school. Millions more adult students attending year-round institutions are about to enter their next term. Among the common questions: Will this all be worth it? Having a clearer picture would sure be nice. It would apply a formula to programs in career-oriented majors, like healthcare, business and education to name a few, to decide which ones lead to ‘Gainful Employment.’ Those that do not would be eliminated. Students would also get concrete information about graduation rates, employment rates, potential salaries in their chosen field, loan debt info and the like before they choose their school. This information should help students analyze their risk/reward scenario. should be implemented at all schools. As for setting standards to see if programs yield Gainful Employment? It could be a good idea, if the regulation’s measurements and mechanisms are derived correctly. But that’s not easy. For example, one key factor in recent draft regulations – a specially calculated federal student-loan repayment rate – shows many fine and varied institutions from Alabama State University to Harvard University Medical School dramatically failing that metric. This points to the proposed approach being somehow flawed.